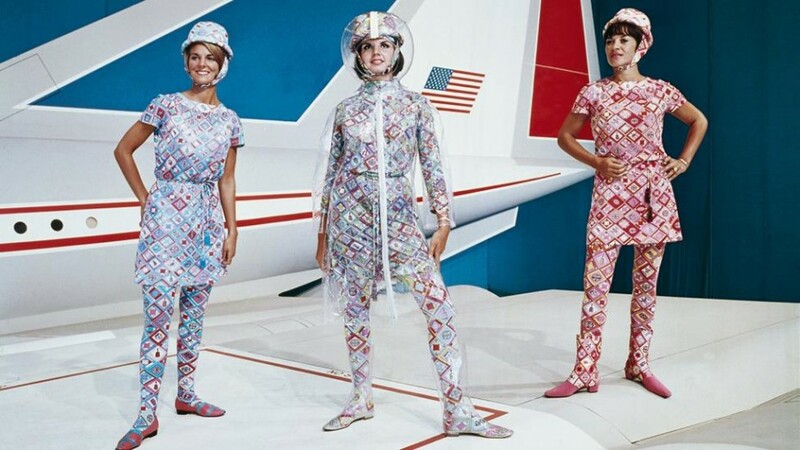 I was doing my daily browse through Pinterest and came across this eye-popping photograph of two ladies wrapped around the staircase of an airplane cabin, unmistakably decked out in head to toe Pucci prints. By now we’re probably all aware that mid-century air travel was the bee’s knees, but surely, no airline ever actually dressed their flight crew like this? 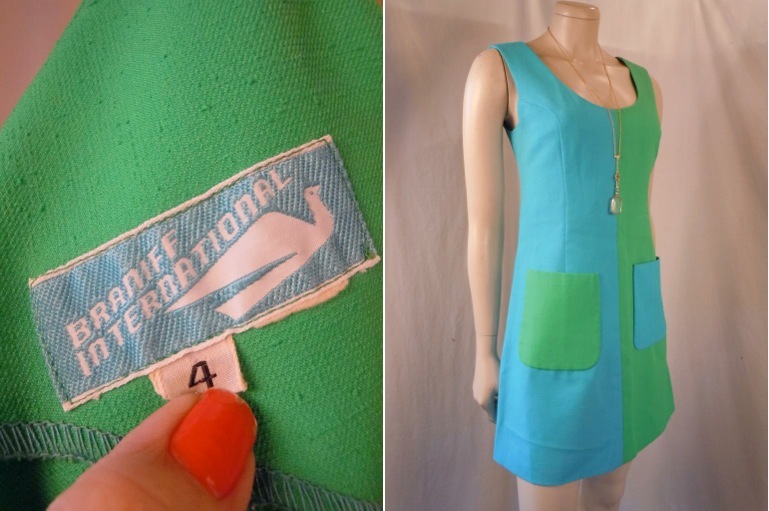 A quick reverse photo search in Google later, and I discover a whole new chapter of airline fashion history I somehow missed. 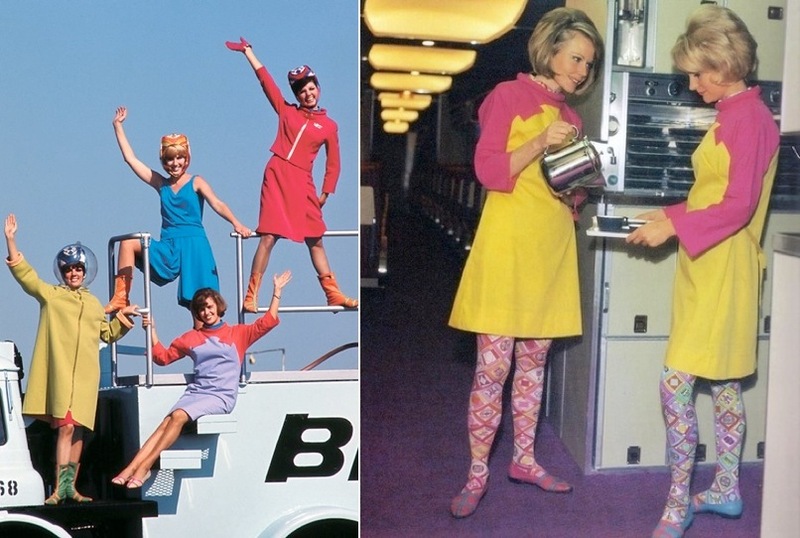 These uniforms were in fact one of many ensembles designed by Emilio Pucci for the now defunct Texas-based airline, Braniff. 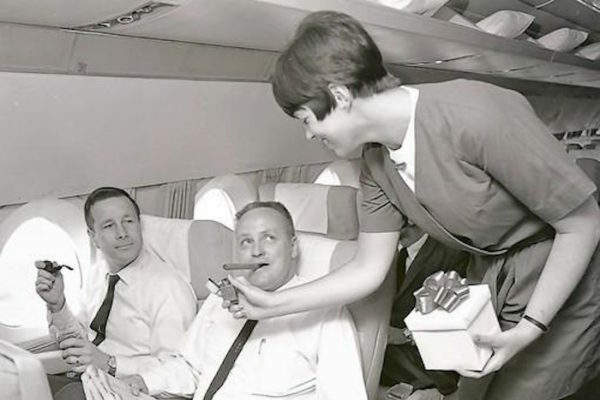 In the 1965, the American airline launched a marketing campaign called the “End of the Plain Plane” in a bid to become the sky’s leading airline for providing a glamorous, high-style and unforgettable travel experience for the masses. It’s worth noting however that the airline’s image overhaul, complete with colourful branding and strip-away uniforms was the brainchild of a female advertising executive hired by the airline. Mary Wells was the first female CEO of a company listed on the New York Stock Exchange and is still considered as one of the standout women in advertising during the Mad Men era. 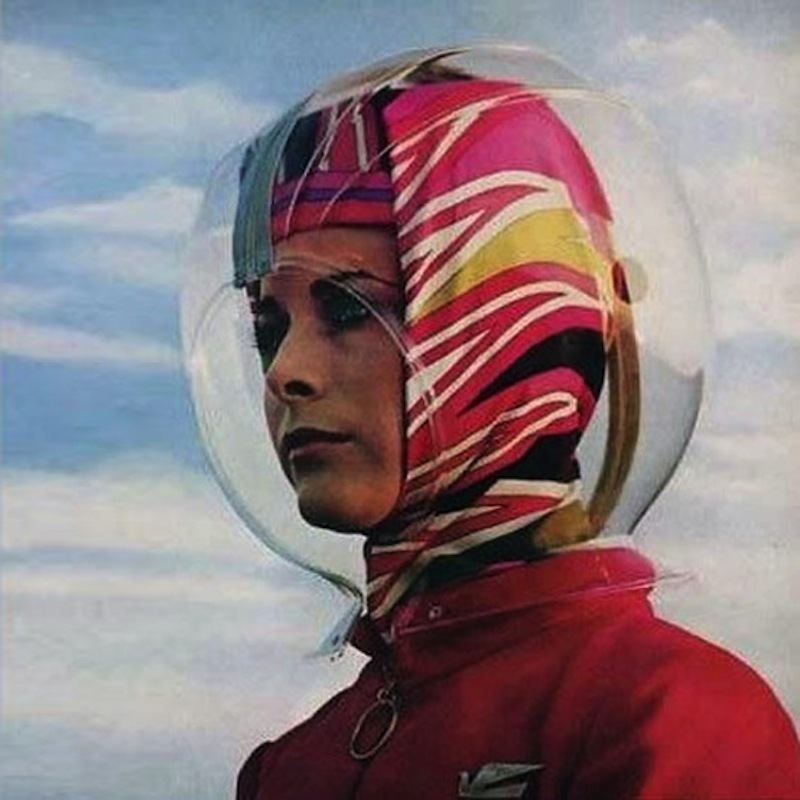 Along with New Mexico architect Alexander Girard, and shoe designer Beth Levine on board for the brand’s overhaul, Emilio Pucci used ‘Jetsons’ space-aged themes and one of his most peculiar designs for the airline was surely these plastic space helmets. The clear plastic bubbles were introduced by Braniff as the “RainDome”, to be worn by hostesses between the terminal and the plane to prevent their beehive hairstyles from being ruined by the elements. 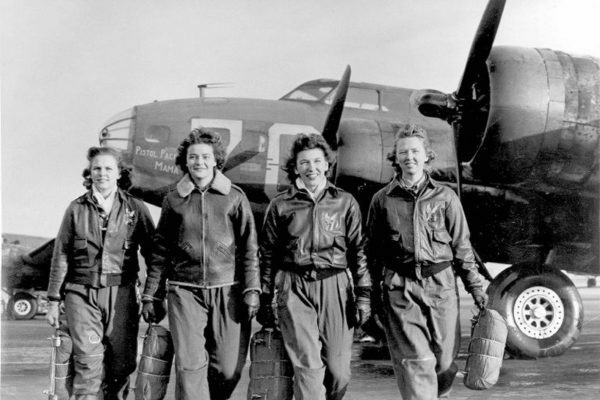 However, the “RainDomes” were scrapped after only a month because the helmets cracked easily, there was no place to store them on the aircraft, and jetways at many airports made them unnecessary. 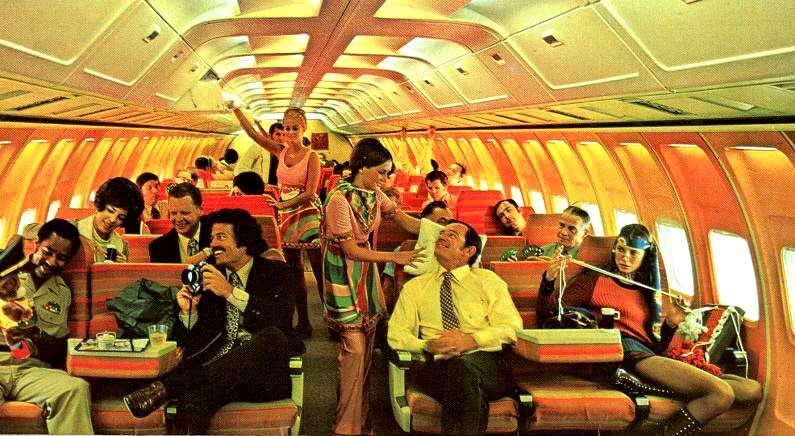 At the same time, the airline’s own planes were given make-overs and painted from tail to nose in colors like “Chocolate Brown” and “Metallic Purple.” The new “jelly bean” fleet consisted of such bold colors as beige, ochre, orange, turquoise, baby blue, medium blue and lemon yellow, and lavender. 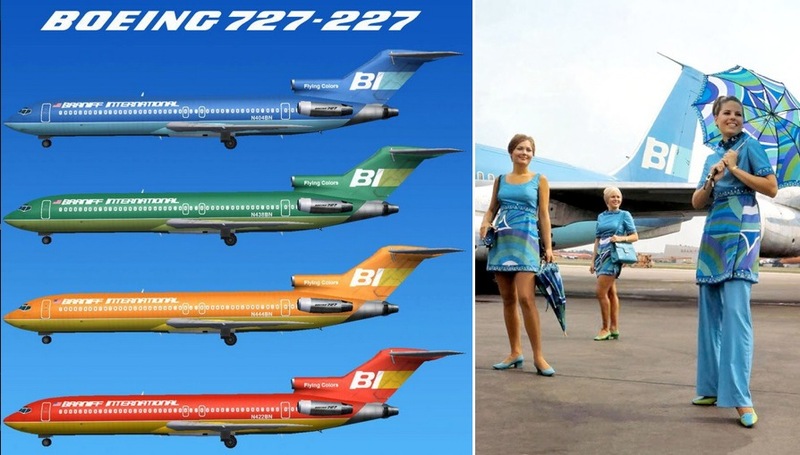 Fifteen colors were used by Braniff for plane exteriors during the 1960s and many of the color schemes were applied to aircraft interiors, gate lounges, ticket offices and the flight crew uniforms. 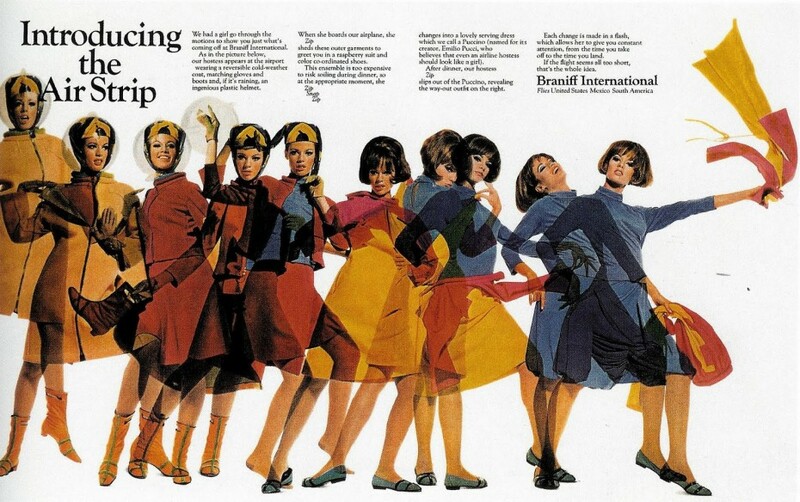 Today, all of the vintage Pucci attire designed for Braniff is valuable. I only found two items currently up for auctions on eBay, this candy pink dress and this mod green and turquoise dress with matching coat. 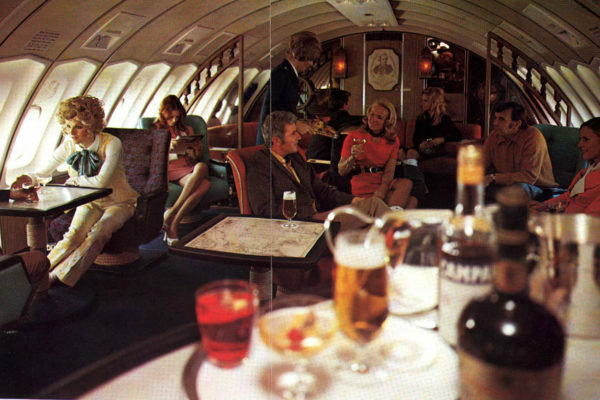 Images found on Pinterest and the Braniff Pages. You can find the full Pucci/ Braniff range detailed here.